You might of enjoyed it, but I sure didn't. Next time let's take showers one at a time. Minor hiccups hear and there but honestly for the price I paid for it I cannot complain at all..... daily driving it now...... Its a solid body with 80k miles and NO rust. Motor is fine for around town driving but on the highway and going up hills its maybe 70hp show. Picking up a subaru motor for her this weekend. Just need to accumulate some more parts for the swap. Last edited by snwbrdr435; 05-09-14 at 12:49 PM. Siiick! did you get the SVX motor? Last edited by snwbrdr435; 05-09-14 at 12:59 PM. Not to bring this too far off topic but these Euro style vans are kind of fascinating to me, so I thought I'd point out that Ford's new Euro-style 2015 Transit van went into production in Kansas City a couple of weeks ago, and will be in US dealers this summer. A 3.2 inline-5 diesel is one of the engine options. I'm sure they'll sell a good number of these. It just occurred to me that Paul lives with a van down by the river. 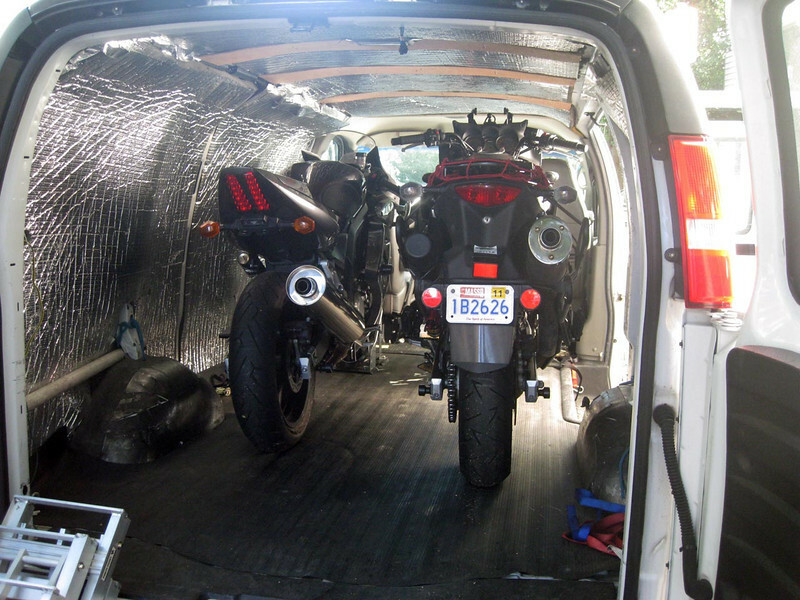 We've insulated several vans with material from Soundown in Salem, MA. A bunch of MIT guys who make sound deadening materials for boats. The stuff is flame retardant, which is not the case for some of the materials you purchase at HD. This is 2" thick foam. The first van we covered with 1/8" Luan plywood to dress it up, but this one we left "shiny" as it helps with lighting. Cool in Summer, warm in Winter. It's self-adhesive. For sure. We are probably going to replace our 2005 Express with a tall van. 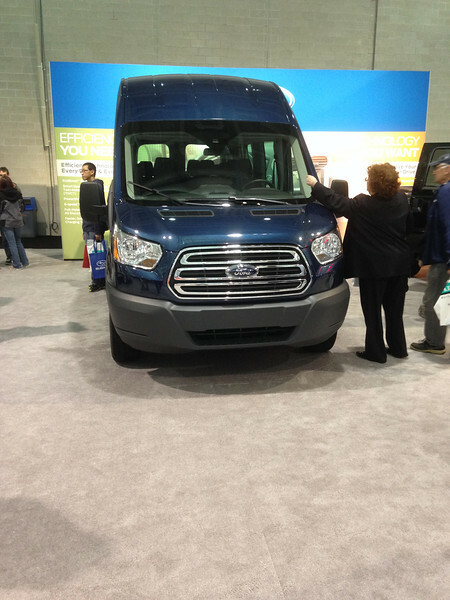 I'm waiting until the Fall to check out the Ford Transit, which is replacing the Econoline. Last edited by Garandman; 05-09-14 at 01:53 PM. How much was the Soundown you used? We bought yard-ends so it wasn't too expensive. Online a piece 1" thick 96" x 54" is $135 and you'd probably need ?? 2 or 3 of those? Installation is pretty fast. We added the strips to the pieces on the roof after the adhesive let go: after 7 years. Last edited by Garandman; 05-09-14 at 01:52 PM. Anybody make a good limited slip for these things? Although I'm sure the computer does a pretty good make-believe. My last Ranger taught me that an L/S and a good set of tires are good 'nuf for me. Hardly ever dropped that baby in 4wd. There is a 4x4 sprinter in europe. It is supposedly coming here this year. I can only imagine the pricetag topping 50K though. THese vans don't come cheap!!! I drive a Highlander Hybrid Limited... I'll just wait a couple years and get one used like I did the HiHy. Haha, it will only cost you 45K at that point. These things hold their value like nothing I have ever seen! They are expensive with 200k on them and all shagged out. Stop raining on my dreams! After MSF today, I test fit my double bed extension to make sure I like the way it functions. THen I dropped the extension into place. I like the way it's working, so I will add two fold out legs, cut in some handles, stain it, and then I can work on the cushions. Anybody do upholstery? Very nice. Looking forward to seeing the bed set-up. Still playing w/ ideas of how I want to do a fold-up bed in my trailer. Thinking about using a 4" memory foam mattress. pete toss one of these on the roof. lol... That would be cool, but why bother w/ that when I sleep INSIDE the trailer? Very nice. Looking forward to seeing the bed set-up. I also have the GDE tune on my Jeep Grand Cherokee. It was amazing how it transformed the engine, more power AND more fuel mileage! Best of both worlds! Phew, productive afternoon. Finished msf at noon, then went to home depot for a folding leg solution for the bed, and a cheap hand jigsaw. This baby is going to be rock solid for... um, sleeping. You thought I was done??? Tsk, tsk. Satisfied with the bed, I put a coat of poly on it and headed up to the van. The paint is in SORRY shape, so I am lining up a restoration on the cheap for later this season. In the meantime, I wanted to get the rocker panel rust makers off before they go to work on this in the the humid NE. THey might have been fine in the desert, but not gonna fly here. She's gonna get some nerf style steps for the front doors only later. OK, I'm done for the weekend...I think.